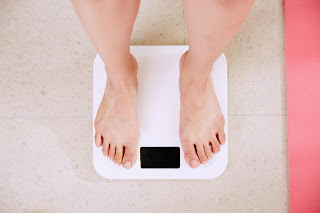 Losing weight can be a challenge for even the most determined person, especially when you hit a plateau and stay at the same weight for six weeks or longer. It can sometimes seem impossible to drop just one or two pounds and it’s true that it does become difficult, but you always have the ability to lose weight – sometimes it is more a matter of pulling the right strings. While the basic equation of weight loss is simple (burn more calories than you take in), the practice is the hard part, but there are many simple tricks that you can fit into your daily routine to encourage those pounds and ounces to drop off faster without knocking yourself out at the gym. If you are having difficulty losing weight, your first move should be to examine your diet. The most successful dieters keep food journals to track calorie intake and you may want to consider keeping a journal of your own. At the very least, write down everything you eat for three to four days and then look back to identify any patterns. This can help you pinpoint your “hungry” times and head them off. Another method is to cut out all beverages other than water. Soda, wine and beer add up to a lot of calories fast, so cutting out high-calorie beverages and replacing them with water will make a major difference to your figure while supplying your body with the hydration it needs to work best. You may also want to consider changing up your exercise routine. Stick with the same workout too long and your body will become accustomed to it and begin to slack off. Surprise your body by throwing in a different workout once or twice a week and you will be pleased with the results.